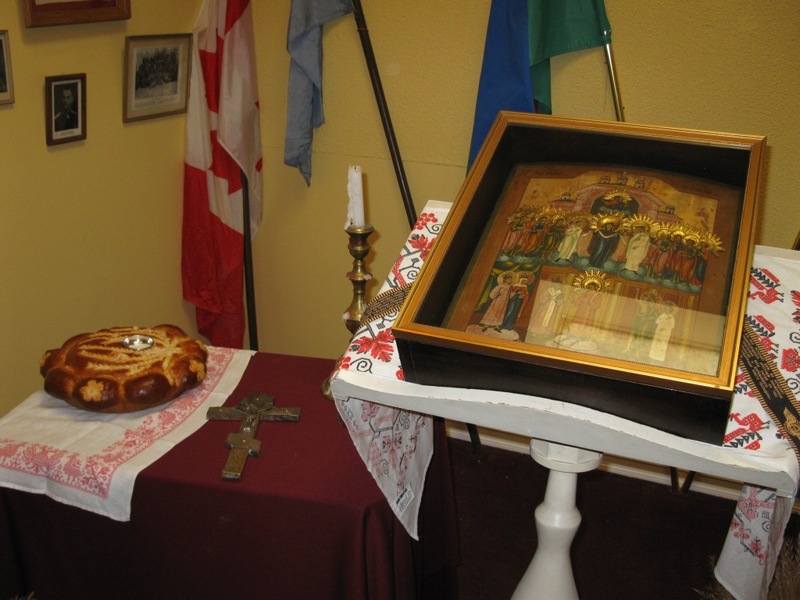 Russian Church » Parish Feastday at the the Protection of the Mother of God Parish in Ottawa. 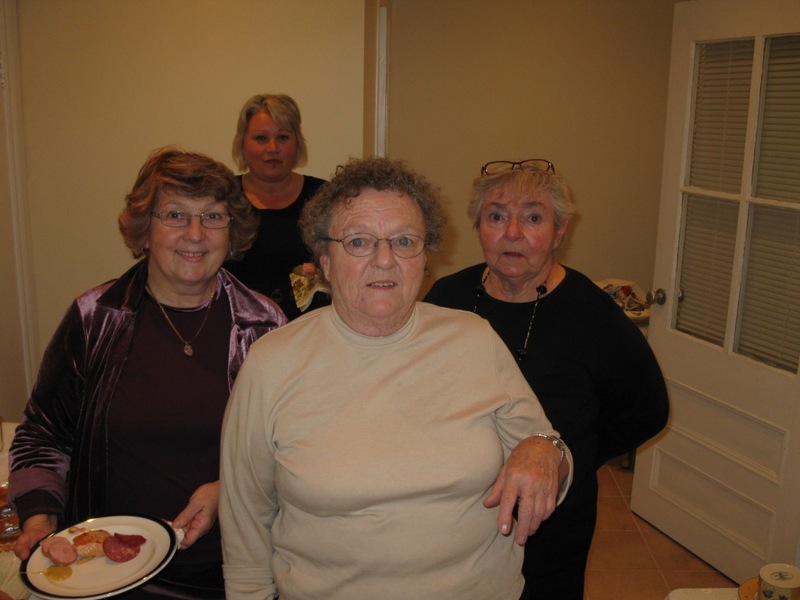 Parish Feastday at the the Protection of the Mother of God Parish in Ottawa. 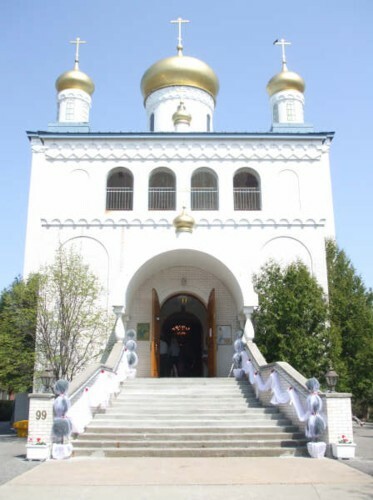 On Saturday the 13th and Sunday the 14th of October, the feast of the Protection of the Most Holy Theotokos, Archbishop Gabriel of Montreal and Canada led the divine services for the patronal feastday of Holy Virgin Protection Church in Ottawa, Ontario. Concelebrating with the hierarch at the Divine Liturgy was the parish clergy: Priest Alexis Pjawka, and Protodeacon Vasily Milonow, as well as Archpriest Peter Perekrestov (Dean of Holy Virgin Cathedral, San Francisco), Abbott Anthony (Kadyshev) (cleric of the Moscow Diocese), Hieromonk Sergius (Gusakov) and Deacon Daniel Bonev. The Gospel was, as is customary in our parish, read in both Church Slavonic and in English. 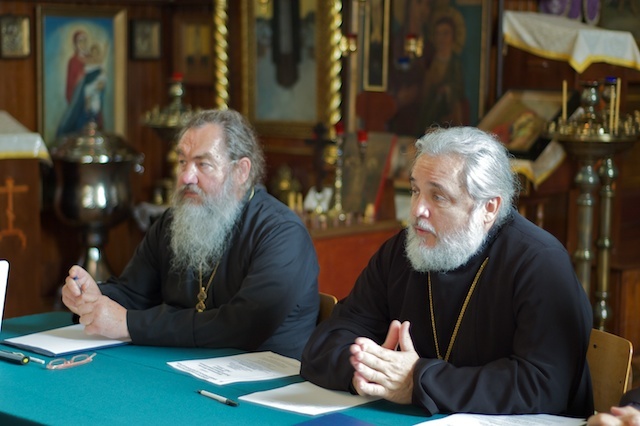 Archpriest Peter Perekrestov delivered a sermon, in which he told the story of a successful, beautiful young woman who suffered because she had not experienced the love of her parents, who had given her up for adoption as a child. The priest was able to help the grieving, explaining that in the Church she managed to find both her father’s participation through her spiritual father, help from her brothers and sisters, in the person of the parishioners, and of course, the maternal love that we can all receive from our common mother, the Most Holy Theotokos. Father Peter said that when we come to church, it is important for us not only to ask for our earthly needs, but also to participate in the life of the Church and the parish. 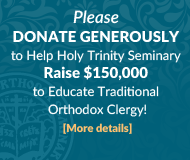 Previously, it was customary to tithe, and this is very little, if we give only ten percent of our time and God-given talents to serving the Church. Due to the large number of communicants, the Holy Gifts were administered from two chalices. Upon completion of Liturgy, a procession was held around the church. 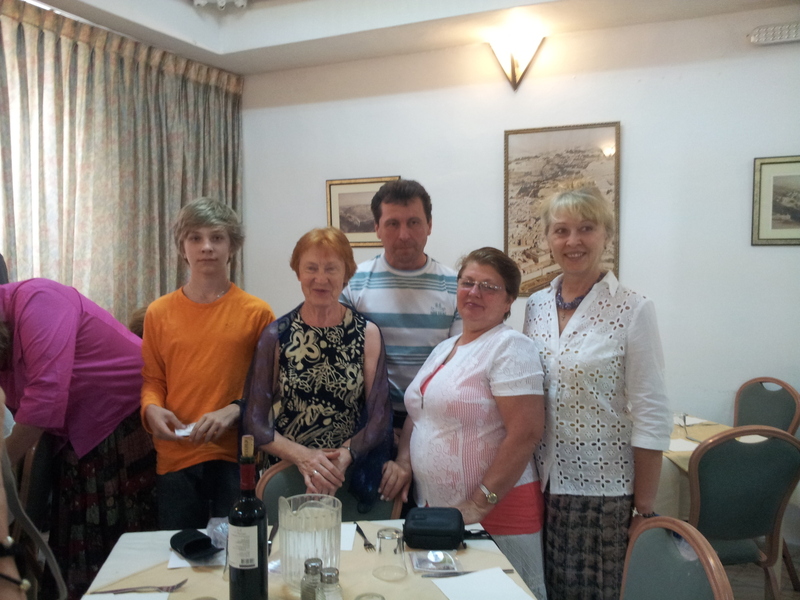 There followed an abundant luncheon for all in the Pushkin hall.